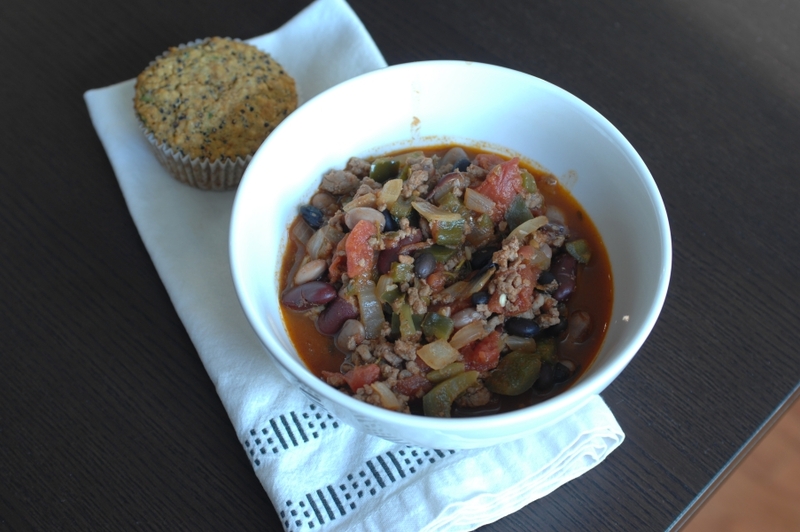 This is the second post in our allergy elimination diet series. Howdy! Let’s get down to business and start with the basics. 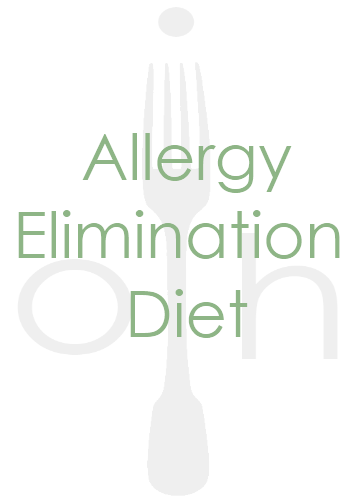 Allergy Elimination Diets (a.e.d) are often used by doctors in cases where food allergies or intolerances are suspected. These allergies and intolerances do not always manifest themselves as the much feared anaphylaxis; symptoms can be headaches, migraines, chronic inflammation, bone pain, stomach discomfort, gas, malnutrition due to malabsorbtion, respiratory distress. . .the list goes on and on. Here’s how it works: you remove commonly problematic foods from your diet, allow your body to rid itself of traces of these, then systematically reintroduce these foods and observe the effects. With this information, you and your doctor can determine which foods, if any, are detrimental to you health. Moving forward, here are a few things to consider. First: doing an a.e.d is a fairly serious (and for some, difficult) commitment. You will be wheat, dairy, gluten, yeast, soy, nut, food dye, and mostly sugar-free, not to mention certain fruits, for the next 28+ days! If you are single this is slightly less challenging as you have only yourself to feed. However, if you are one of a family, or if you have the responsibility of feeding others you have a decision to make: will you do the diet as a family, thus removing both extra work and some temptation, or will you be flying solo, and fixing separate or supplemented meals for your household? Second: single or otherwise, now is the time to select a support base. Practically, this should start with those who frequently share meal/snack times with you. Trust me, your life will be easier if your best friend/husband/mother/co-worker is not constantly offering you donuts or asking you to split a sub for lunch! Let these selected people know what you will be doing for the next few weeks, and ask them to help you by not offering cookies when you are starving or at least fighting you off if you attempt to pry a cookie out of their hands. That said, will power is really going to be the focus of your next few weeks; this diet becomes an exercise in discipline as much as anything else (though I hope to provide enough tasty treat ideas to make it a bit less trying). 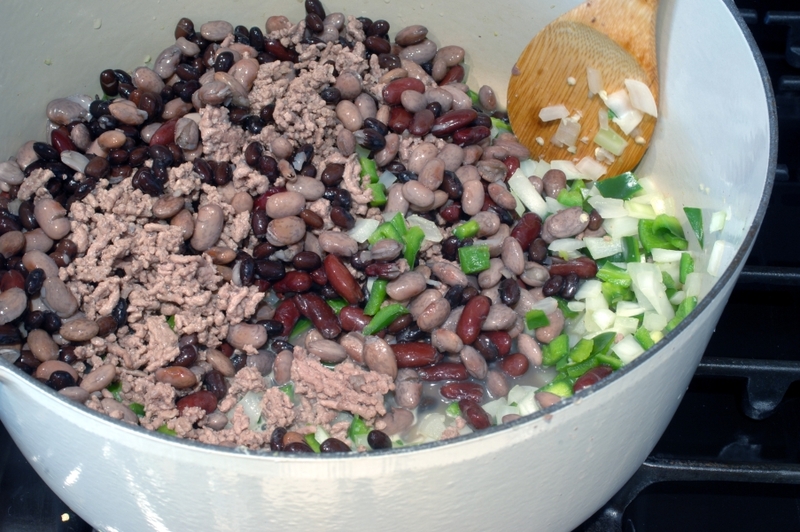 Third: for those who are vegetarians or have otherwise limited food sources already- if you are highly reliant on wheat and soy-based products to fill in both food and caloric quantity, you will have to be a bit creative over the next few weeks. Without careful planning and forethought, any participant in the a.e.d. 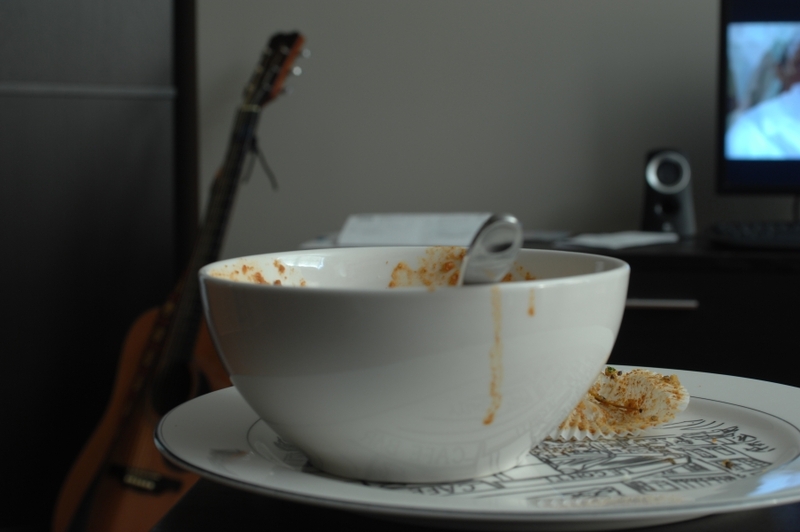 will suddenly realize they have a better understanding of the title of this blog: one is hungry! 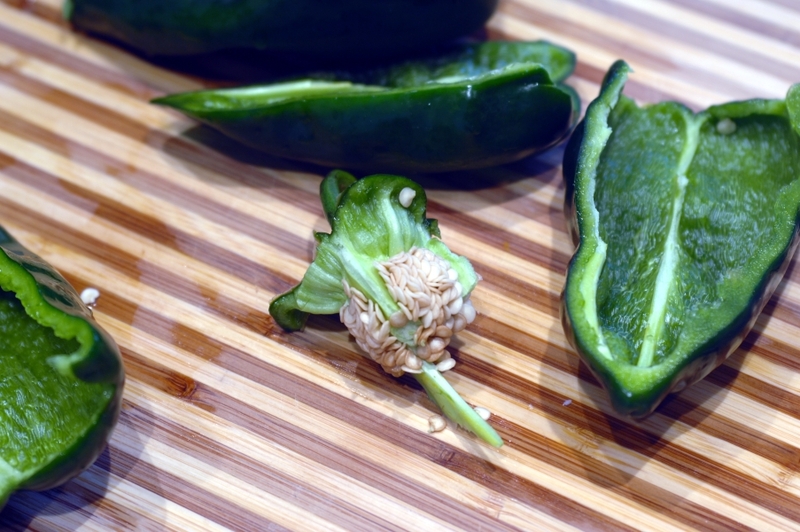 We’ve already talked about the things you may not eat, now let’s talk about what’s left. It is not as bleak at you might think. The list of foods I am providing lines up most closely with the a.e.d. guidelines I was given, but there are literally dozens of variants (I will include links to a few others for your further research). If a food is listed as okay below, but you suspect it is a problem for you then, please, treat it as an excluded item and test it accordingly during the reintroduction phase. Two things that most of the other diets seem to exclude that mine did not are corn and potatoes and all their byproducts. On these points you will have to decide for yourself. I do not include them in my list of forbidden foods because, again, I am passing on the information I was given and am familiar with through personal testing. This list is not all encompassing; I do not touch on things like salt, vinegar, chocolate, specific meals. If you have questions about things not covered in the list, please contact me and I will do my utmost to get you an answer. 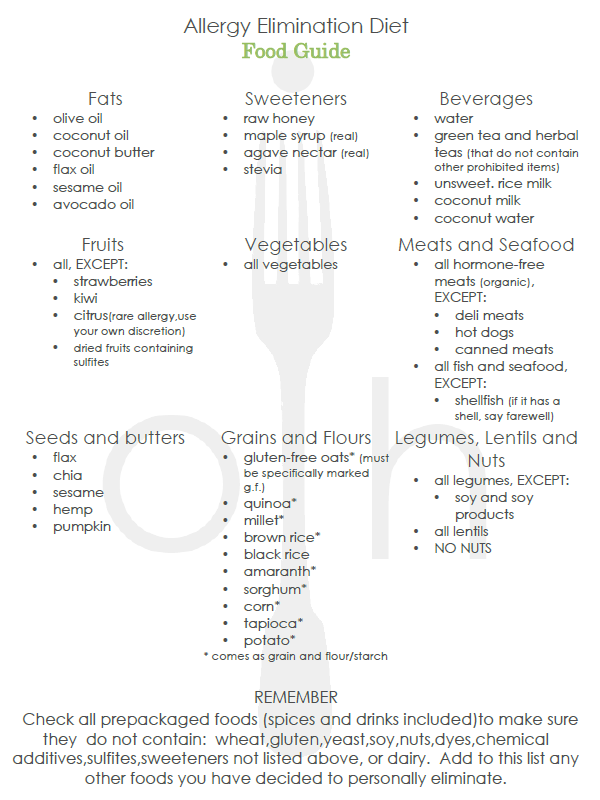 Here is a (I hope) handy, dandy printable chart of foods allowed for this a.e.d (simply click on the image to access the printable pdf). Almost done for the day! I know this can seem overwhelming, but remember, you are doing something a little bit difficult for one month in the hope of having better health for the rest of your life! Later this week I will post some recipes, links to other helpful sites and recipes, and a sample menu/shopping guide. For further information on other a.e.d. try here, here and here. This entry was posted in allergy elimination diet and tagged allergy elimination diet, food allergies, lists on August 27, 2012 by Brandy. This is the first post in our allergy elimination diet series. One of my primary goals in starting One is Hungry was to provide information and encouragement for those struggling with their health as I did. Beyond sharing my own story, I’ve yet to provide any real information. I thought this would be a great time and place to start. Two years ago this month I threw myself, desperate and ignorant, into an allergy elimination diet. It was ultimately such a worthwhile experience that I have no regrets, but I do wish I had started out a bit more prepared and better informed. Because of that, for the next six weeks I’m going to be posting some in depth information for those looking for a.e.d. help for themselves or a loved one. Week one will be preparation: we will discuss the reasons for and potential outcomes of the diet, determine a course for the next two months (deciding if you will be doing the a.e.d. alone or with family/friends), talk about the importance of an informed support system, learn what foods are and are not acceptable on our a.e.d. and do some pantry and fridge cleaning and restocking! 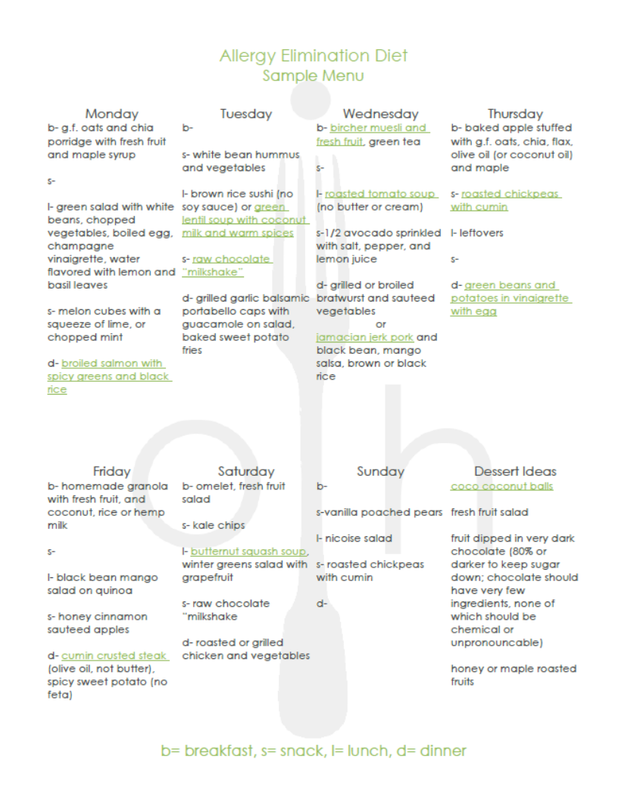 Weeks two through five (28 days) will be elimination: there will be suggested/optional menus with shopping lists, recipes and lots of encouragement on the great job you are doing from yours truly. Weeks six and onward will be about reintroduction and evaluation, in which you will start slowly reintroducing the previously eliminated foods, evaluating you reactions to them, and using this information to, potentially, make some permanent diet and lifestyle changes. However, before we get into any of that, the first thing to do if you are seriously considering an allergy elimination diet is to speak with your doctor, especially if you are pregnant, breastfeeding, or being treated for any health problems. For most people this diet will constitute a huge change in eating habits; depending on your specific condition this could have unexpected repercussions, and, anyway, it is best to keep your doctor in the know about the health and times of you! Let him/her know why you feel the need to explore this option and ask if they have any objection to it. If you decide to jump in without a doctors okay, well your are an adult (probably), bully for you, and don’t blame me if anything feels funny! This would also be the time to take a look at any over the counter medicines or supplements you take and see if the ingredients include wheat, gluten, dairy, soy, or food dyes, and if so, see if there are substitutions that do not contain these items. 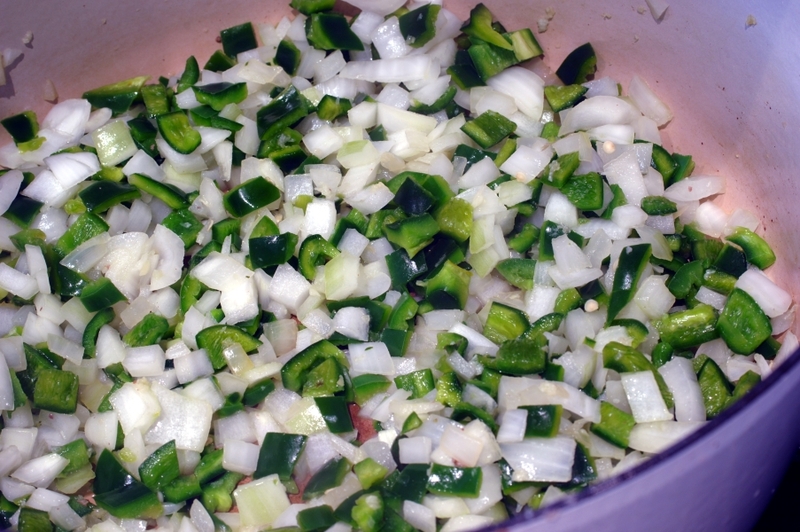 This entry was posted in allergy elimination diet, gluten-free and tagged allergy elimination, gluten-free on August 24, 2012 by Brandy.